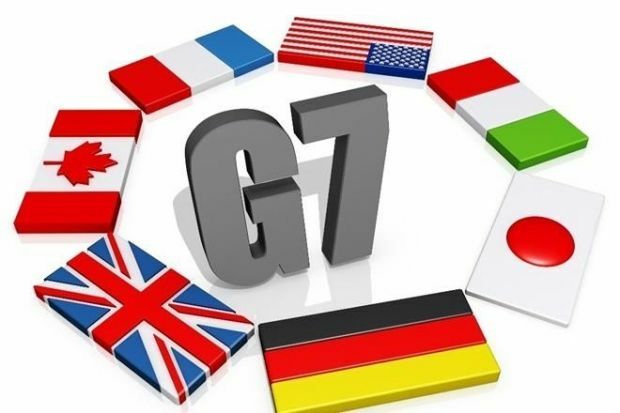 Finance ministers and central bank officials from G7 countries meeting on May 27-29 in Dresden (Germany) are not expected to discuss the issue of additional macroeconomic assistance for Ukraine, German news broadcaster Deutsche Welle has reported, quoting a senior representative of the German government. Russia, which is one of the largest creditors of Ukraine holding its government bonds will not be represented at the meeting in Dresden. There are generally few expectations of a breakthrough in the issue of restructuring Ukrainian foreign debt. Moreover, there is said to be no unity among the participants of the meeting even with regard to already-agreed $40 billion aid package to Ukraine. The International Monetary Fund has pledged to provide $17.5 billion in bailout funds to Ukraine, Germany provided state guarantees for a EUR 500 million loan. Ukraine expects to save another $15 billion as a result of restructuring its debts to foreign creditors, and this is currently being negotiated by the Ukrainian government. Earlier, Ukrainian Finance Minister Natalia Jaresko expressed her hope that Kyiv would manage to reach a deal with creditors regarding the restructuring terms in as early as June. Later however she admitted that the public debt restructuring negotiations were "harder than expected."